UPDATE (10:36am): It's official—WB has announced Arkham Knight via this month's Game Informer. The game will feature a big open-world Gotham (supposedly bigger than Arkham City's); familiar Batman villains Scarecrow, Penguin, Two-Face, and Harley Quinn; and a driveable Batmobile. Arkham Knight will be out for PC, Xbox One, and PS4 later this year. If you pre-order, you get playable Harley Quinn DLC. UPDATE (12:06pm): While the game is being promoted as coming some time in 2014, retailer GameStop's listing is a bit more specific. We contacted the Arkham Knight's publisher to clarify whether that's a real date or a placeholder. They merely reiterated that the game is coming in 2014. An early GAME UK retail leak has spoiled today's big Batman reveal: it's Batman: Arkham Knight, the final game in the Arkham series, and it'll be out this year for PC, Xbox One, and PS4. Last week, GameStop started receiving marketing materials for Arkham Knight, which match up with the box art above. 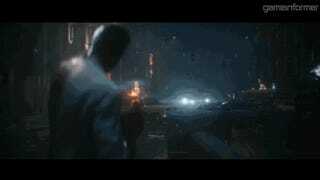 This will be the third Batman game by Rocksteady, the studio behind Arkham Asylum and Arkham City. Last year's Arkham Origins was developed by WB Montreal. Will Rocksteady&apos;s Next Batman Game Be Revealed Next Week? Looks like the Batmobile is driveable, and Scarecrow will be the main villain. Seems like there's no current-gen version, which is good news, as they won't have to scale down anything to fit into old hardware. Rumors have swirled about Rocksteady's next Batman game for quite some time now, after Batman voice actor Kevin Conroy accidentally mentioned that he was working on an Arkham game that was not Origins. 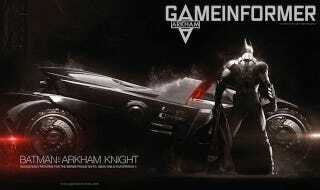 Batman: Arkham City Creator&apos;s Next Game Slated For 2014?